Soft and easy to clean, this fun Foot Shaped Absorbent Non-Slip Bath Mat is perfect for using outside the bathtub or anywhere a cushioned mat is needed. 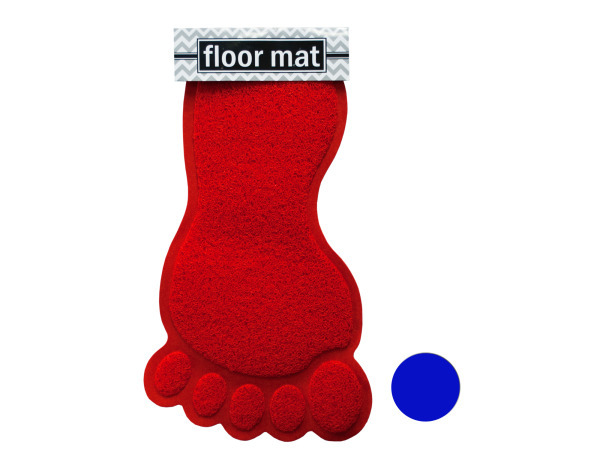 Mat features soft plastic construction in the shape of a foot with texture that traps water and dirt and is easy to clean by shaking. Measures approximately 12" x 28". Comes in assorted colors. Comes packaged with a hang tag.